A beautiful little apartment in the centre of the old town and the hosts were charming and helpful. Even though the building was old from the outside, inside was modern light and fresh. A real little home. I was delayed with my flight more than 4 hours and they waited for me, they was so nice and good. It was a very nice flat with perfect location, i wanna come back. Расположение апартаментов идеальное для прогулок по старому городу. Кухня позволяет приготовить ужин на любой вкус. Окна выходят во двор, что изолирует вас от шума города. Поскольку это практически центр старого города вам доступны десятки ресторанчиков и магазинчиков. Если вы путешествуете на машине (как мы) то не спешите платить за парковку, в соседнем дворе можно без проблем оставить машину абсолютно бесплатно на любое время. Bardzo miła Pani Właścicielka:-), na naszą prośbę wcześniej udostępniono nam mieszkanie. Lokal czyściutki, świetnie zlokalizowany. Polecam:-). Bardzo dobry kontakt z właścicielką obiektu. Przekazanie kluczy przebiegło bezproblemowo. Obiekt położony jest w bardzo dobrej lokalizacji, bardzo blisko do Starego Miasta. Zadbany, bardzo czysty. Wyposażenie nowe, przyjemne, dla pary w sam raz, ale pomieściłaby się też i rodzina. Dzięki oknom wychodzącym na dziedziniec pomimo bliskości centrum jest w miarę cicho. 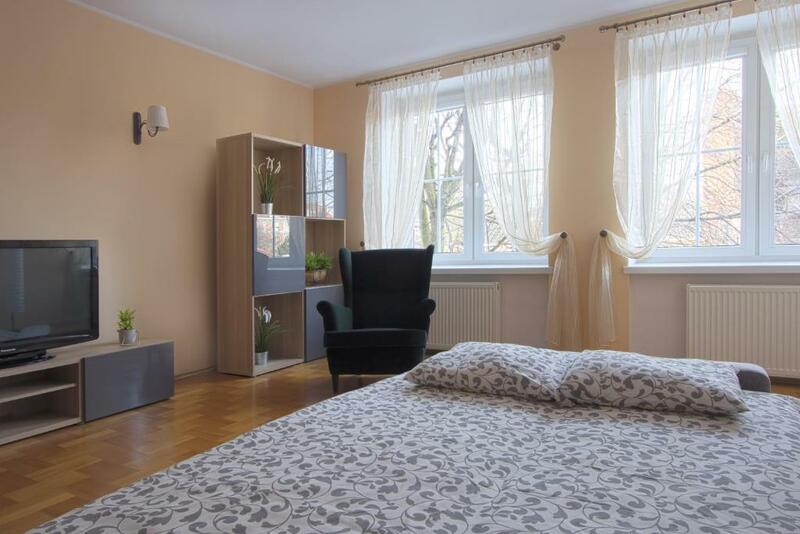 Mam nadzieję, że przy następnej wizycie w Gdańsku będę jeszcze miała okazję skorzystać z tego apartamentu. 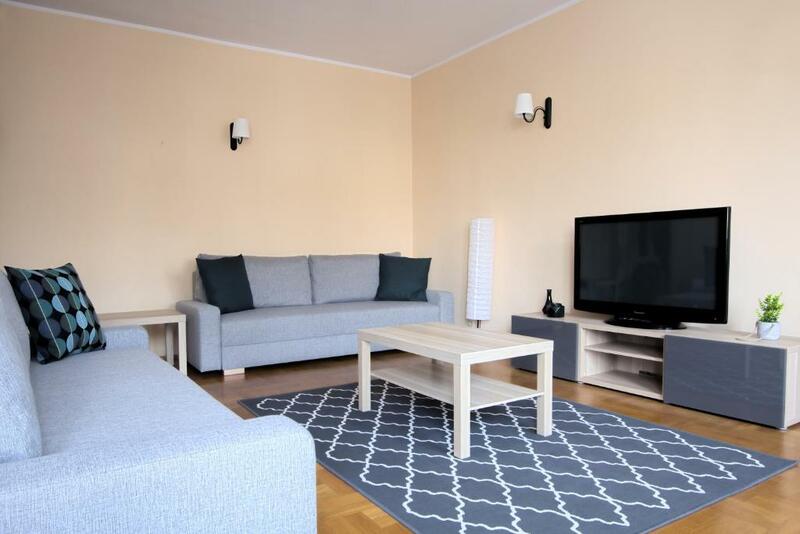 Apartament z doskonałą i pozytywną energią, którą zaraża, po trudach podróży :) Bardzo miły kontakt z Panią Właścicielką. Doskonała lokalizacja. Serdecznie polecam! Wyśmienita lokalizacja. 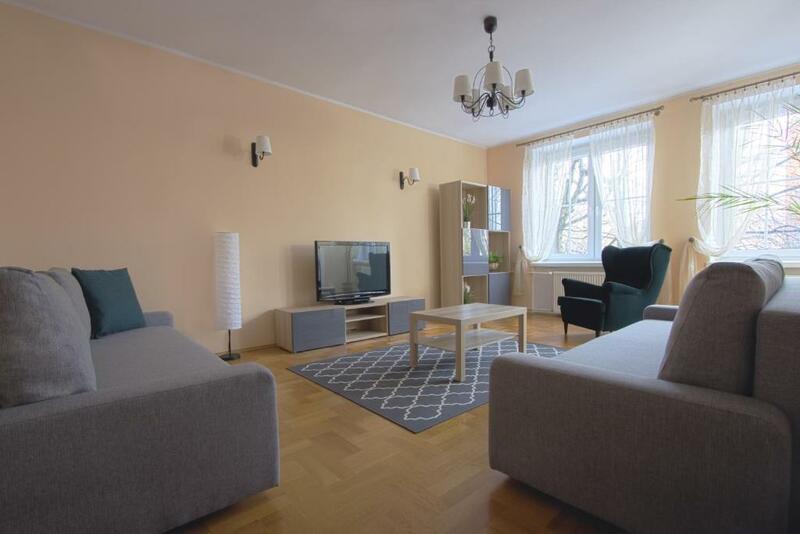 Bardzo słoneczny i przestronny apartament, czyściutko, a do tego przemiła Pani Właścicielka. Polecam!!! Lock in a great price for JB Apartament – rated 9.7 by recent guests! One of our best sellers in Gdańsk! 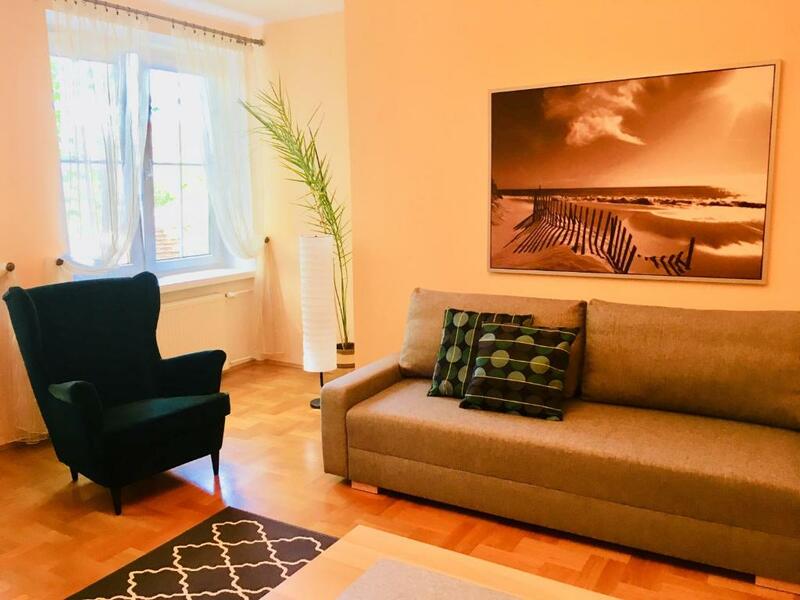 JB Apartament is located in Gdańsk, a few steps from St. Nicholas Roman Catholic Church, a 5-minute walk from Zuraw Medieval Port Crane, as well as 1.2 miles from Neptune Fountain. The apartment is 1.4 miles from Main Town Hall. The apartment comes with 1 bedroom, a fully equipped kitchen with an oven, and 1 bathroom with a bath. A flat-screen TV with cable channels is featured. Green Gate is 1.5 miles from JB Apartament. The nearest airport is Gdańsk Lech Wałęsa Airport, 11 miles from the accommodation. 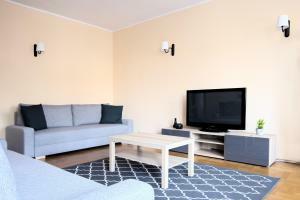 뀐 Located in the real heart of Gdańsk, this property has an excellent location score of 10.0! When would you like to stay at JB Apartament? This apartment has a flat-screen TV, patio and soundproofing. 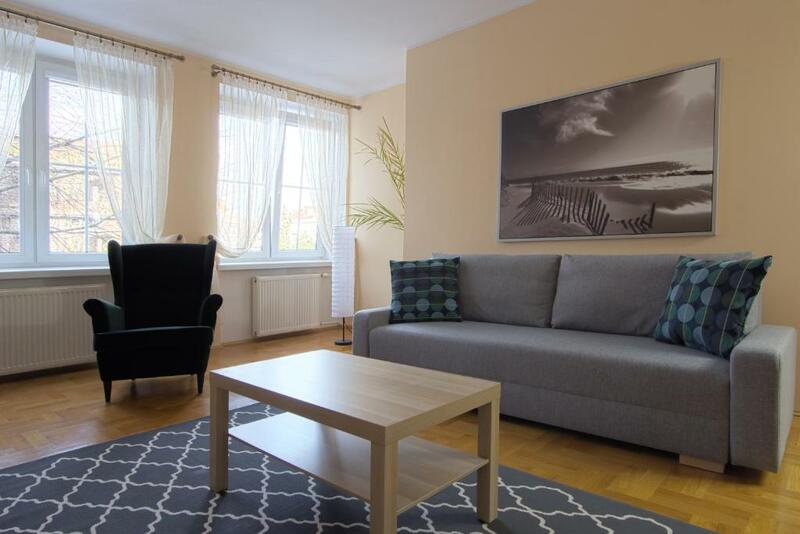 The JB Apartment is a spacious, quiet apartment (one room) in the Old Town Center. The flat is on the first floor (without access to the elevator). The entrance to the building is from the street (as in the picture), the windows in the apartment are faceing to the ruins of the defensive walls of Gdańsk, which guarantees a peaceful nights. The apartment includes a seating area, a kitchen and a bathroom. In the seating area there are two double sofas, a table and WiFi. The kitchen is a separate room and is equipped with a fridge, stove, oven, washing machine, coffee maker, electric kettle, table and 4 chairs. From the windows there is a view of the medieval ruins of the defensive walls of Gdańsk. If you are looking for attractions at the Dominican Fair, you've come to the right place. On our street in August every year, the Dominican merchant stalls are spread (you are at the center of this event). Nearby: monuments of Gdańsk, restaurants, cafes, culture and art at your fingertips. The apartment is freshly furnished. During the day, we guarantee the power of attractions related to the city of interest, at night a well-deserved rest in a quiet JB Suite. House Rules JB Apartament takes special requests – add in the next step! Please inform JB Apartament of your expected arrival time in advance. You can use the Special Requests box when booking, or contact the property directly using the contact details in your confirmation. Only very small things. I only tried the TV on the morning of my departure and I couldn't get it to work although it was responding to the remote control. A drawback was that I couldn't leave my bag until the evening because being a flat there was no reception. But the hosts did allow me a late check-out. And the cleaning fee was a bit steep for a one night stay but I appreciate that they want to keep the charging uniform. It would make it clearer to people who are not Polish to say somewhere to press button 3 outside for that particular apartment. Nice place and clean apartment. Nice apartment central in old town.